Most people have been to a national park or civil war battlefield complete with all the amenities a tourist desires. Now imagine a national park called, “Nephite city national park and historic battlefield.” This park includes a visitor center, museum with Nephite and Lamanite artifacts, weapons, friendly park rangers along with clean bathrooms and a gift shop. That’s just what you get at Mound City national historic site outside Chillicothe, OH…. everything but the name. Mound City is a small federal park. Most visitors on the rural highway probably don’t even notice it and if they do they probably pass it off as golf course. But these well manicured grounds hold ancient secrets. 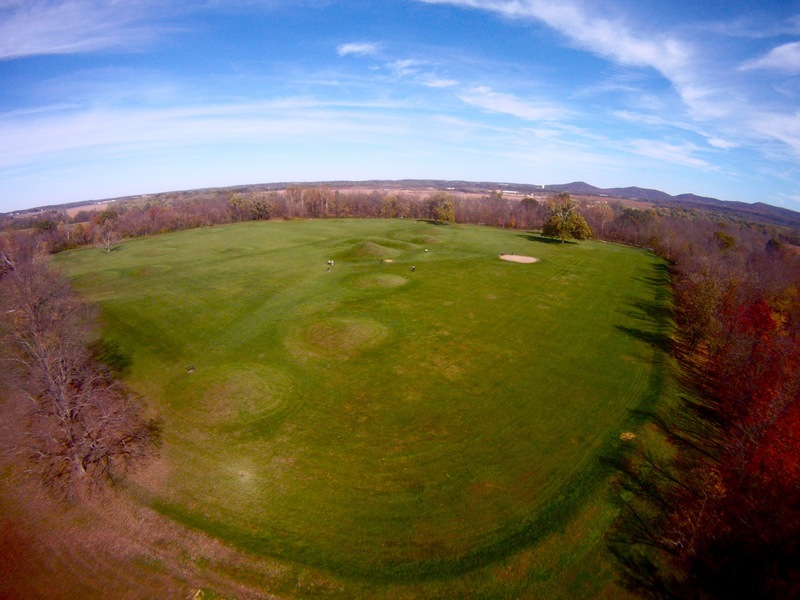 The park is a large enclosure of berms and burial mounds covering 15 acres. This site is just one of five separate sites in Ross County, Ohio which make up Hopewell Culture National Historical Park. 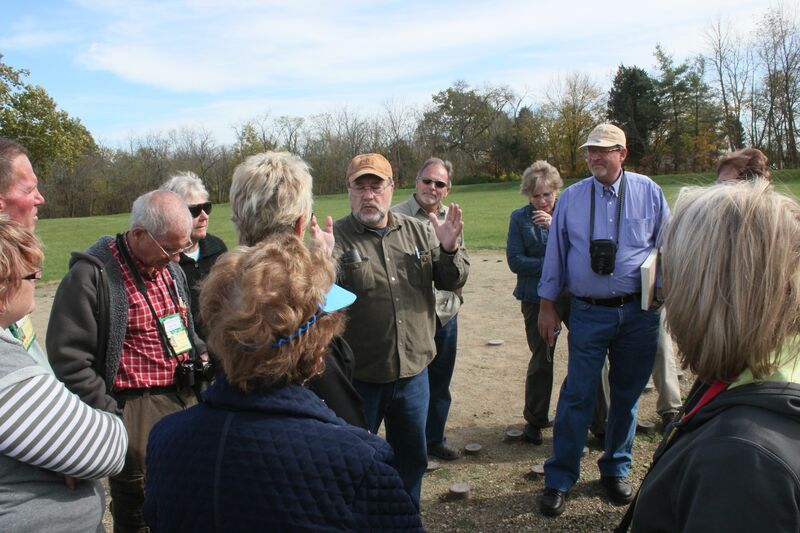 I toured the site with Wayne May, publisher of Ancient American magazine, who has an interesting theory on the large burial mounds in the center of the once walled enclosure. First off, we know this was a defensive enclosure because the square shaped outer wall. Years of agriculture have plowed down the burms but enough still remains to see where the wall once stood. One of the park rangers commented that it is strange that the mound builders would wall off a high point away from the flats. Wayne explained that it’s quite simple, that high point would offer an easy vantage point to attack the city and so it was defended. Wayne May with a tour group. 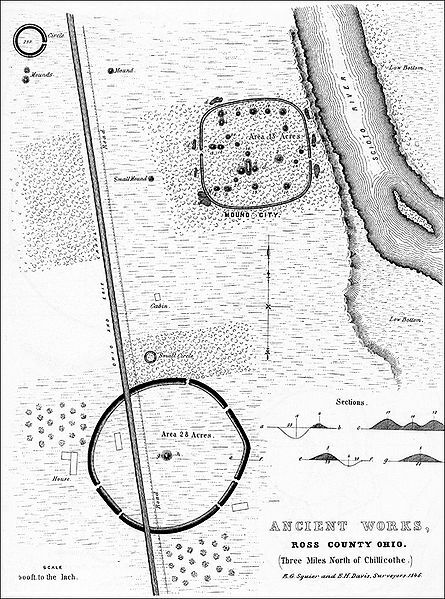 Further evidence that this was a defensive structure is the borrow pits or ditches found on the outside of the wall. In almost all cases from the Book of Mormon, the Nephites we’re the only ones building defensive structures. Thus, this was likely a Nephite city. An arial view of the city looking east. Evidence that a large cremation structure was erected near the large mound is evident from post hole molds found here and marked in the above picutures. Again these we’re haphazardly thrown up likely by the Lamanites as a temporary structure to cremate their dead. The large mound in the background has some skeletons but is mostly cremated ashes. Considering the scale of the large mound, it is possible that thousands of Lamanites died in taking this city. The archeological dates of this city are 200 B.C. to 500 A.D. putting it right in the timeline of the last great battle of the Nephites and Lamanites. Most but not all of these mounds at Mound City contain artifacts and were thrown up seemingly at random strongly suggesting most mounds were Lamanite burials in a conquered Nephite city. Which city was this? We’re working on that……stay tuned.